It’s not hard to see why river cruising has been and remains so very popular. It’s a great way to relax, enjoy the sounds and nature of the river and soak up beautiful scenery. As well as countryside, you’ll pass through historic towns and cities along the way plus enjoy time on shore at various places of interest. 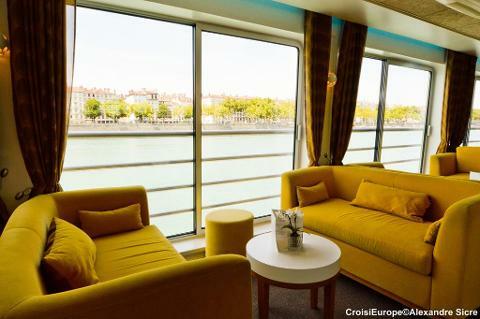 Our River Cruises in conjunction with Croisi Europe Cruises – one of the premium brands in the market, have proven to be extremely successful and popular. 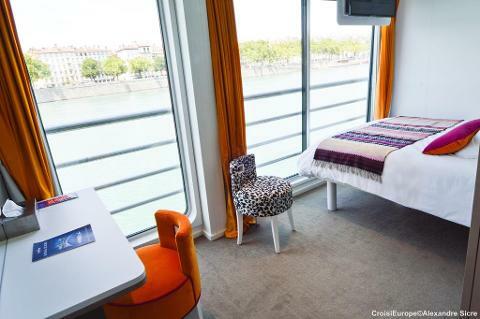 Places are strictly limited and some upgrades are available on this modern cruise boat, which offers premium quality accommodation and facilities. 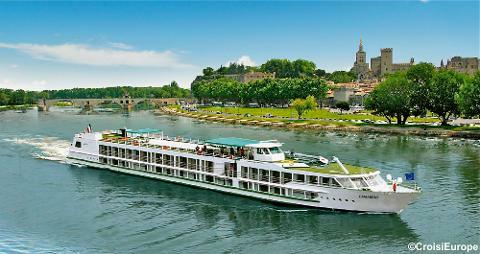 We’re delighted to have secured space on this superb cruise along the Rhône and Soane Rivers in central southern France. 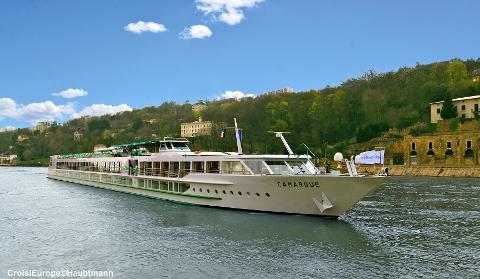 The cruise travels through some of the most beautiful and best preserved landscapes in France. 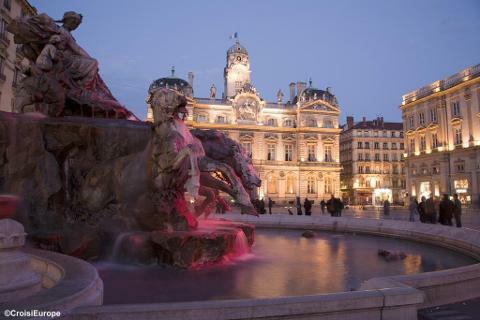 We have included the superb Classic Excursion package in the price of your holiday with a visit to a vineyard, beautiful ancient walled towns and France’s gastronomic capital, Lyon. Our itinerary, with a stop each way in an excellent quality hotel ensures relaxed travel days. After being collected from your home around 7.00am we travel to Folkestone for our lunchtime Eurotunnel to France. Travelling through the countryside to our overnight hotel stop on the outskirts of Lens. Excellent quality Novotel 4* Hotel with all the comforts of a modern hotel. 3 course evening meal included. After breakfast we continue south through the beautiful changing scenery of France to the great city of Lyon. Regarded as ‘the’ gastronomic centre of France, Lyon is known for its historical and architectural landmarks and is a UNESCO World Heritage Site. We board the superb MS Camargue in the early evening. After comfortably settling into your cabins, meet the crew at a welcome cocktail. After dinner on board there will be an evening of entertainment. Today we have included a guided visit of the city. Starting with a coach tour with sights including the remarkable Fourvière Basilica and the ruins of the old Roman forum. Followed by a walking tour of Lyon's Old Town - discover the "traboules”, types of passageways that are typical of the city. Free time in the Saint Jean district, in the heart of the Old Town before we return on board for lunch. This afternoon we cruise towards Mâcon. Enjoy dinner and an evening of dancing. After breakfast we leave by coach with our guide to the Cluny Abbey. 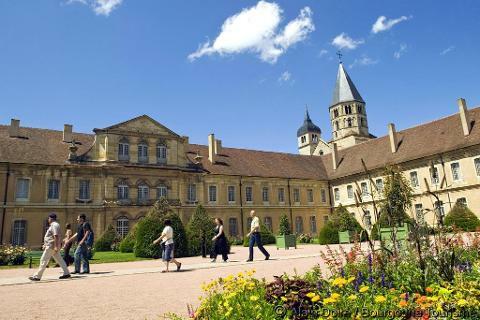 Founded in 910, this ancient Benedictine abbey extended a widespread influence on all medieval Europe. The church was the largest in all of western Christianity until Saint Peter's Basilica was built in Rome. We'll return on board and spend the afternoon cruising. After dinner, enjoy an evening of entertainment before we arrive in Vienne later this evening. A fascinating walking tour of Vienne this morning, during which you will discover this Roman city’s rich heritage. With a history dating back more than 2000 years, discover the sights including the Roman Antique Theatre, one of the largest in the Roman empire, the Temple of Augustus and Livia and the Cathedral of St Maurice. Returning to the boat and spend the afternoon cruising. Enjoy dinner and an evening of entertainment. 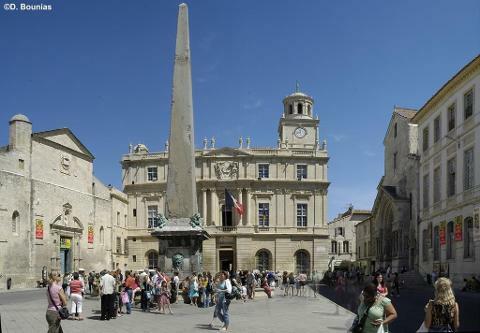 After breakfast we include a guided tour of Arles by foot. So much to see in this amazing town with a remarkable history. Van Gogh was drawn to the beauty of the sun-baked buildings, painting over 200 canvases of the town. 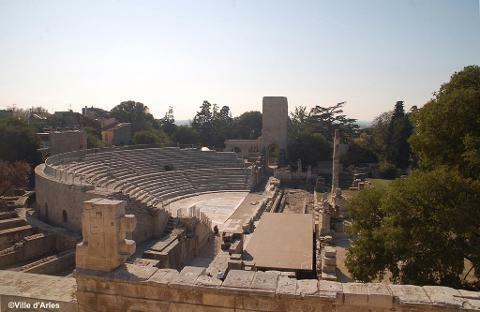 During the tour we see the Roman Amphitheatre, the Roman Theatre, St Trophimus square and much more. We then depart by coach towards Tarascon to visit an olive oil farm with the opportunity to taste the products. Return to Arles by coach. 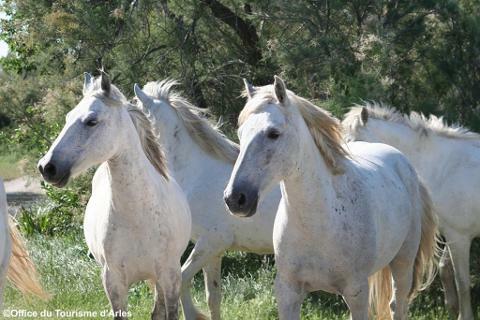 This afternoon we head off to discover the Camargue including a visit to a "manade" (horse breeding farm) and learn about how a manadier works with the animals. We'll return on board for dinner and an evening of traditional Provençal entertainment. 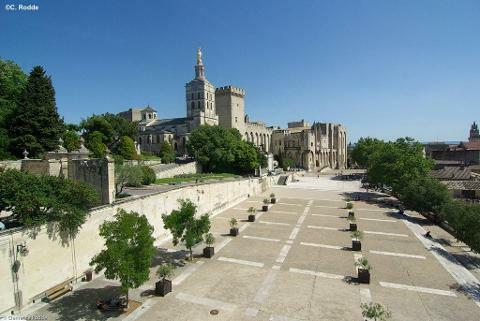 In the morning we have a guided tour of the old town of Avignon including the famous Pope's Palace, classed as a world heritage site by UNESCO and a testimony to the city's heritage. Another wonderful destination to explore. Returning to the boat and spend the afternoon cruising to Viviers. We have included a walking tour with a guide bringing the many beautiful old buildings to life. Return to the boat on foot. This morning will be spent cruising. We have included an excursion to Tournon in the heart of the Rhone Valley and at the gates of Provence. We'll begin our visit on foot passing all the main tourist attractions of the town, including the historic monuments and shopping areas. At the foot of the castle, enjoy a pleasant walk along the streets and alleys of the historic centre. The tour will end with a tasting of regional products and wines. Return on foot to the boat at your own pace. Tonight is the gala dinner. During the night the ship cruises towards Lyon. Enjoy one last buffet breakfast on board before disembarking at 9:00 a.m. We board the coach and head back to Lens to once again stay in the Novotel – 3 course evening meal included. We depart the hotel after breakfast and head for the Eurotunnel. Continuing home to arrive back in the local area around 4.00/5.00pm. Returned to your home by our home collection service. We have included all excursions as detailed worth £280!!!! All excursions operated by Croisi Europe. A member of Highcliffe Coach Holidays staff will be onboard. Due to the nature of river travel some excursion details may be adjusted or amended. If this occurs there will be no refund for these changes. Although all efforts will be made to run the itinerary as above - some changes may be made due to water levels. 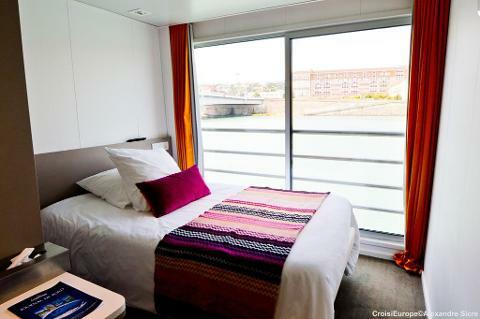 This classic ship has a new look, after its complete renovation in 2015 with spacious cabins and a bright, modern décor – the MS Camargue is one of the premium ships in the fleet. Capable of hosting 104 passengers in 54 cabins, this cosy ship is set over 2 decks with a large lounge bar, lovely restaurant and sundeck with plenty of seats to lay in the sun and enjoy a drink. Food during your cruise is an absolute highlight; delicious refined French cuisine for your evening meals with choice, complemented by specially selected wines and an extensive self serve breakfast. All served in the beautiful restaurant. All cabins are above the waterline and have good views with either twin or double beds, bathroom with shower, satellite TV, hairdryer, safety deposit box and air conditioning. No lift but only two decks.